Thanks for clicking! You just did something that most businesses now rely on as their first contact with potential customers. This essential interaction, arguably, is what content marketing is all about. We often need our future customers to be curious about the content behind a headline before we can expect them to be interested in our products or services. Which is why I wrote this headline the way I did. Upworthy is famous for its own brand of highly effective click bait called the “curiosity gap” headline. 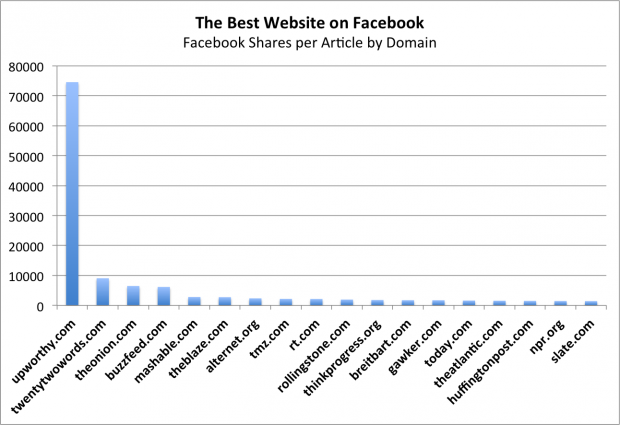 The news site describes its content as “things that matter,” but it’s the second part of their tagline describes their strategy: “Pass ’em on.” According to The Whip’s November 2013 list of the web’s “Most Viral Publishers,” Upworthy had twice as many total social media shares on its content that month as CNN.com, but published approximately one twenty-sixth (225 to CNN’s 6,079) the total number of articles. Upworthy averages about 75,000 Facebook likes per article, which is 12 times what another expert practitioner of click bait, Buzzfeed, can claim. The secret, Eric Jaffe writes in Fast Company, is “engineering ‘curiosity gap’ headlines.” He cites George Loewenstein of Carnegie Mellon as the leading proponent of the “information gap” theory of curiosity. In the mid-1990s, Loewenstein wrote that “the curious individual is motivated to obtain the missing information to reduce or eliminate the feeling of deprivation.” If you feel like click bait is a little like content junk food, you’re on to something. Jaffe explains that, just as fast food chains have figured out just the right compound of chemistry and marketing to provoke hunger for products we know we don’t need, some headline writers have figured out exactly what makes us feel like we need the information on the other side of a link. People are suckers for the unexpected. We’ve recently published two blog posts specifically intended to tap into this impulse. Three weeks ago, Hannah Clark wrote about six unusual ways to use Pinterest, and we got a great response—it was our most popular post of that week. So we tried the same formula again a couple of weeks later with 10 Creative or Weird Uses of Instagram by Evan Lepage. Both posts continue to receive more attention than more direct, advice-oriented posts we’ve done in the past on how to use these networks for your business. From Vaudeville freak shows to content marketing headlines, the promise of something new and weird has a powerful allure. The obvious problem with this click bait tactic, however, illustrates a broader challenge: the risk of disappointing your reader. There’s nothing particularly strange about the science of click bait, really. In fact, what science there is confirms a lot of what we already knew. Some of the research and evidence is interesting, but there’s no bearded lady here. This post promised something it can’t deliver, a temptation every content marketer should be careful to avoid. The truth is, click bait is usually more art than science. But that’s not to say there isn’t evidence to guide the creative process when writing headlines. In fact, there are literally billions of data points showing content marketers what inspires curiosity and motivates clicks—after all, every action of every cursor the world over is now counted by someone. Research can reveal salient patterns. This study by University of Bristol, for instance, used data from the BBC, The New York Times, Yahoo, and eight other online news sources to model readers’ preferences and predict which words people are more likely to click. 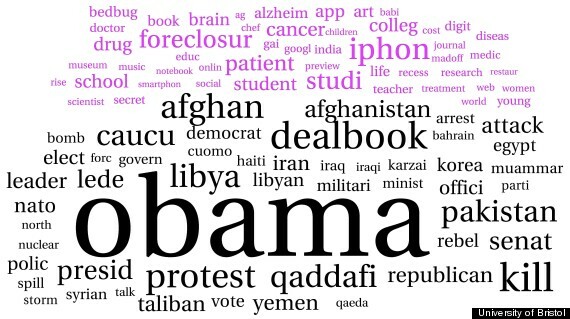 The word clouds the study produced are a fascinating snapshot of attitudes and reading habits. They just won’t help anyone write clickable headlines. The word “science” is in this headline because it commands authority. It’s a synonym for “I promise I’m not just making this up.” This post contains links to two pieces of scholarly research and some evidence derived from what we observe on the Hootsuite blog. While it offers some science, it hardly contains the science. (There I go making promises I can’t keep again! Oops.) If there were a piece of authoritative research describing the anatomy of click bait headline, I would certainly have shared it with you. Ask yourself, though, if such a study existed, would you let its findings guide your content marketing strategy? It’s seductive, this idea of a formula for creating the perfect content Big Mac—it would be an extraordinarily potent tool for any marketer. But we already have some pretty good burger recipes that we’ve developed through the art of understanding our audience and what piques their curiosity. We just don’t serve it every day.